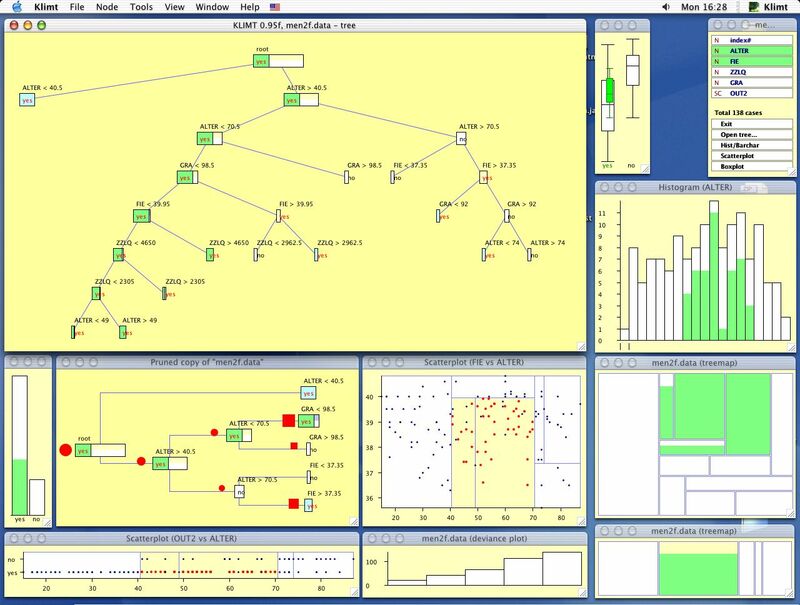 KLIMT Project - interactive statistical software for data analysis - Welcome to KLIMT Pages! For a more exhaustive description of KLIMT see features section. The first prototype of KLIMT was presented at Interface 2001 in Costa Mesa, CA. Many new features such as additional plots, treemaps, support for forests and the bidirectional interface to R/S/S-plus have been added since. KLIMT is still work in progress and you can find the current version in the download section. Don't forget to visit the documentation section for a user's manual and quick-start guide. KLIMT-related papers and talks can be found in the publications section. You can see an actual snapshot of KLIMT HERE. 2006/11/24 iPlots are historically based on Klimt code and due to the fast development of iPlots in the recent year Klimt-specific features have not yet caught up with revolutionary changes in iPlots. However, we are currently working on the re-integration of tree displays and other cool features of Klimt into iPlots. Once this task is finished, both stand-alone Klimt and tree-enabled iPlots will be available. Expect an update in the next few months. In the meantime you're free to use older releases. 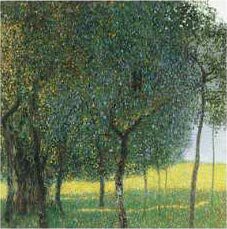 2004/07/03 KLIMT's new features such as analysis of forests, trace plots or support of survival trees are emerging during the development. However the fast-paced development leaves little room for fully-tested releases. Therefore we decided to make pre-releases available in the download section. They are provided in the form of JAR files, which should work equally well on all platforms. 2003/11/14 KLIMT v0.97 released The updated version of KLIMT is available in the download section. Many new features were added and several bugs were fixed. The support for multiple simultaneously open datasets and tools for the analysis of tree ensembles were improved. 2003/03/30 KLIMT v0.96u released. Many bugfixes (most notably EPS export works again), better cross-platform support and additional features were added. Major GUI changes: on unix/Windows right mouse button is used for queries, middle button is used for zoom. R interface was improved considerably. 12/18/2002 KLIMT 0.96p released. It contains many new features, among others support for polygon maps, series plots, generation of derived variables, PDF export (preliminary) and extended queries. Many plots have been improved and extended. Since this release Mac OS 9 and MS-JVM are not officially supported anymore, but binaries are still available upon request. If you intend to use KLIMT in conjunction with R, please take a look the Rserve project pages for most recent version of Rserve. 07/28/2002 KLIMT now comes with Rserve binary for major platforms, allowing much faster tree construction. Support for multiple datasets and an experimental interactive split editor have been added. Project pages have been re-designed. 05/01/2002 A new version of KLIMT supporting more input formats and analysis of multiple trees. Several new plots have been added. 03/01/2002 Updated snapshot of KLIMT in the MacOS X aqua environment. Please stay tuned and check this page every now and then for development updates.